Early to get your hands on the latest Note series phablet from Samsung but plagued by annoying issues? Take a look at Updato’s complete guide to the most common Galaxy Note 8 problems and their easiest solutions. After billions of dollars spent to cut their losses and millions more in making sure that none of the other Galaxy devices go up in flames, Samsung hit the sweet spot. Apart from its massive fan-following that appreciates a well-built premium smartphone, Galaxy Note 8 is a step ahead of the pack for the most part. From the extra-large display touting Samsung’s revered Infinity Edge display technology to the state of the art hardware specs and fine-tuned software, Galaxy Note 8 is Samsung’s comeback to the premium Android smartphone market. Despite the dimming confidence of users after the Galaxy Note 7 fiasco, the Galaxy Note 8 was pre-booked 2.5X faster than its predecessor. However, the 2017 phablet from Samsung misses the mark of being perfect by a few points. Whether you consider Samsung’s stubbornness on keeping the fingerprint sensor out of comfortable reach or the typical software glitches that most smartphones come with, Galaxy Note 8 issues are quite obviously prevalent. The good news is that most Galaxy Note 8 problems that you’ll face can be easily troubleshot with the right steps, so don’t plan your visit to the nearest Samsung service center just yet. To save you the time of sifting through your phone’s user manual or wasting hours with the Samsung technical support, we’ve done the work for you. By listening to the plight of all the users and the problems they’ve been facing, here’s a list of all the common Galaxy Note 8 issues and the straightforward ways on how to fix them. Following in the footsteps of most flagship Android devices these days, Galaxy Note 8 counters the short battery life problem with fast charging technology. The smartphone is Qualcomm Quick Charge certified and comes with Samsung’s very own Adaptive Fast Charging right out of the box. While Samsung has put forth a number of software and hardware restrictions that prevent the battery from overcharging, the device is still capable of packing up juice in a matter of minutes. 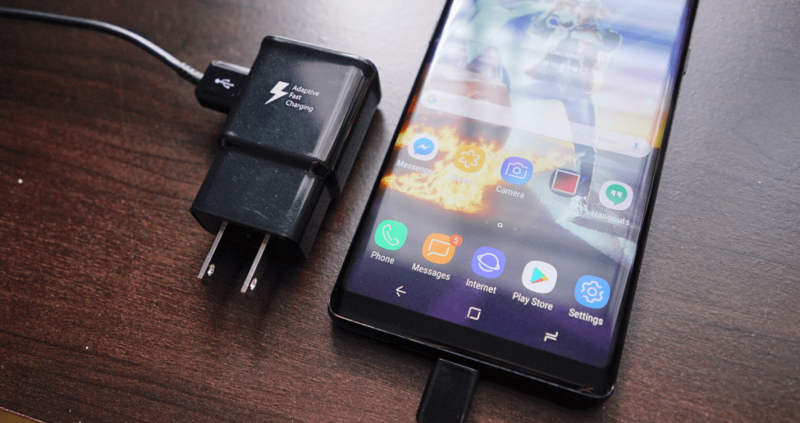 If you find yourself waiting too long for your Galaxy Note 8 to charge up, the fast charging capability of your device may not be already active. From the home screen of your Galaxy Note 8, head over to the Settings app or pull down the notification window and tap on the Settings gear icon. In the Settings app, scroll down to find the Battery menu option and tap on it. Within the Battery menu screen, you’ll be able to find Fast Cable Charging option, so press the toggle switch next to it if the feature isn’t active already. It may seem absurd that you’d have to enable this essential feature manually, but the reason Samsung leaves it upon you is that fast charging does cause the phone to heat up. But don’t worry about it, this is completely normal and you can always choose to turn off the Adaptive Fast Charging option if it bothers you too much. 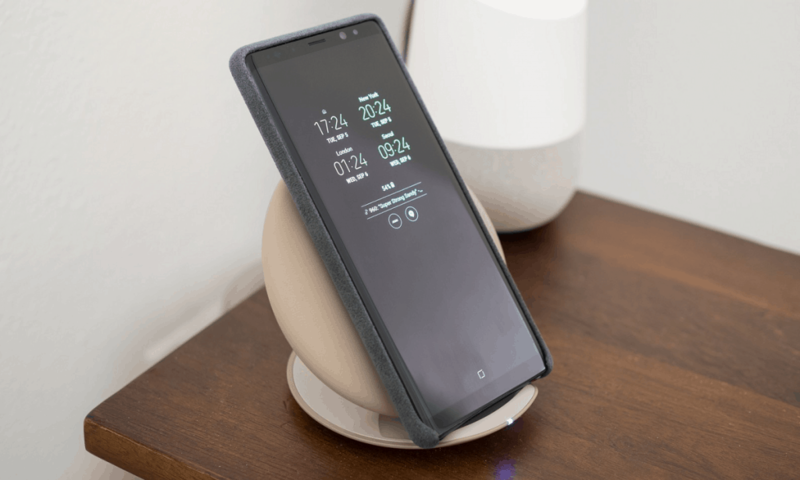 You can also simply cut the cord and get yourself the Samsung Fast Charge Wireless Charging Convertible Stand that comes with Adaptive Fast Charging built right into it. Apart from giving your phone a deserving resting space, the Qi wireless charging pad comes with cooling fan built right into it to keep your Galaxy Note 8 cool and juiced up all the time. If you’ve done your research before buying the Galaxy Note 8, one of the most prevalent issues that the users have reported is regarding the red tint on the display. Despite packing an AMOLED display that is above the average standard for smartphones, the display of your Galaxy Note 8 still needs to be fine-tuned to make it look right for your eyes. 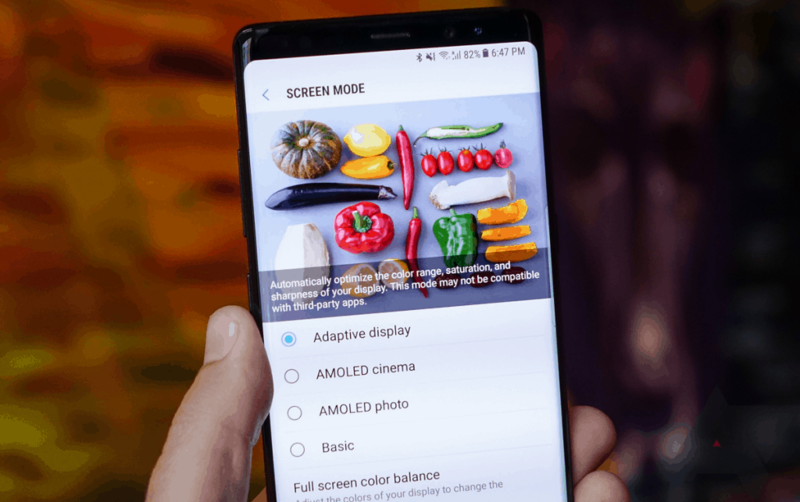 The good thing is that you don’t need to head over to the Samsung service center to calibrate your phone’s display, thanks to its built-in Screen mode. Navigate your way to the Settings app on your Galaxy Note 8, scroll down to find the Display option and open it. In the Display menu option, move down to find the Screen mode tab and access it to begin calibrating your phone’s display. The Screen mode option gives you the ability to choose between four different presets, so you can select the one that suits you best. Moreover, you can use the slider and move it between the Cool and Warm options to precisely set the right color tones. You can take the display color tuning to a whole new level with the Full screen color balance option. This essentially allows you to customize the Red Blue and Green colors individually until you get the display that suits your vision. If the Screen mode isn’t able to fix your issue with the Galaxy Note 8 display, checking for physical display issues can help in getting to the root of the problem. All you need to do is run a check using the Dead Pixels Test and Fix app to diagnose any stuck or dead pixels on the display screen and assess them with Samsung for a replacement. Connectivity issues to start popping up even on a brand new Android device isn’t exactly unheard of. 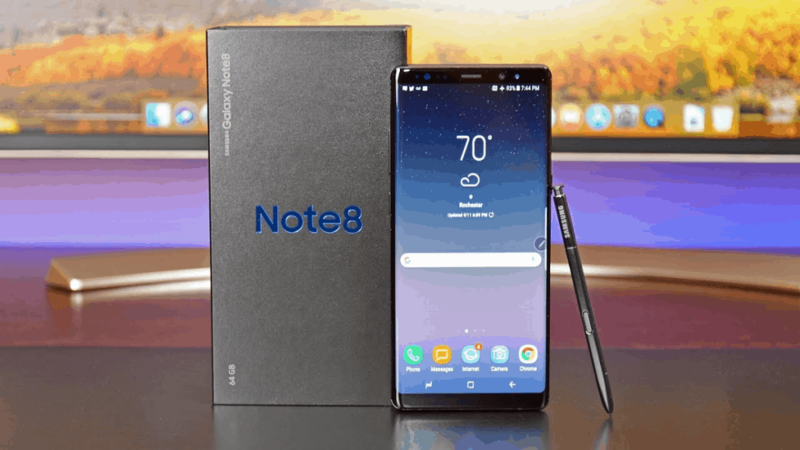 Galaxy Note 8 is no exception, as many users have reported poor or no Wi-Fi connectivity, issues with Bluetooth pairing and low-latency when using GPS-oriented apps such as Google Maps. The fact of the matter is that connectivity issues on mobile devices are mostly software related, and can be easily resolved. Simply follow each of the steps listed below to successfully diagnose and fix connectivity issues with Galaxy Note 8 Wi-Fi and Bluetooth. For poor Wi-Fi connectivity, make sure that your wireless router is connected to the internet first. Turn off the Wi-Fi router for at least a minute and then reboot it to make the connection. Head over to Settings > Wi-Fi and hold down the wireless network you’re trying to connect until you see the Forget option pop up. You can then re-enter the password for the wireless network and connect successfully. If the Wi-Fi connection issues still persist on the Galaxy Note 8 device, you might need to perform a network settings reset. Head over to Settings > Backup and reset > Reset network settings and confirm your action. Since Galaxy Note 8 comes with Bluetooth 5.0, you get faster streaming and 4 times the connectivity range. However, if you still face issues with the Bluetooth driver, simply head over to Settings > Apps > Bluetooth and select Clear Cache for a quick reset. Similar to Wi-Fi network issues, Bluetooth connections may also need re-pairing to resolve certain errors. From your Galaxy Note 8, head over to Settings > Bluetooth and hold the paired devices to Forget them and then reconnect with them using the pairing mode. Several users have reported connectivity issues when Samsung SmartSwitch is used to set up the Galaxy Note 8. Simply forget the saved wireless networks in your Wi-Fi settings and saved Bluetooth devices that you’re trying to connect to and re-connect to solve the connectivity issues on your Galaxy Note 8 easily. Despite setting the gold standard with its list of amazing features and rock-solid performance, one area where the Galaxy Note 8 is not above criticism is the 3300mAh battery capacity, which is even slightly lower than the Galaxy S8+. If fast charging just isn’t enough and you need more hours of screen-on time, here’s what you can do. The easiest way to get more usage from your smartphone is activating the Power saving mode from Settings > Battery menu option. 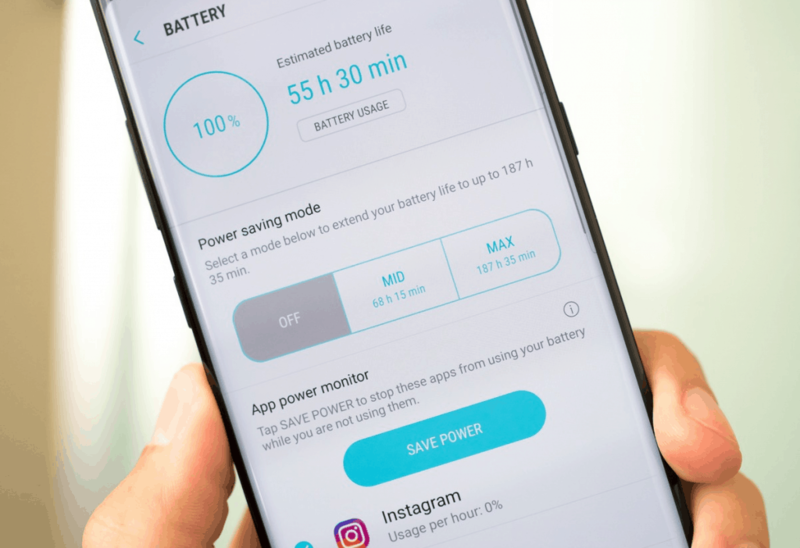 The Power saving mode will automatically curb the background processes running on your Galaxy Note 8, reduce data usage and radio connections (Wi-Fi, Bluetooth, and GPS), and reduce the screen brightness and screen resolution to get you hours’ worth of screen-on time. Similarly, you can use the Battery menu option in the Settings to find a power-hungry app that is leeching off your battery. Simply use Force Stop to temporarily bar the app or use the Uninstall option to get rid of the culprit completely. There’s only so much of power-saving tricks that you can use on a device that is essentially a powerful minicomputer in itself. You can always carry a power brick around or simply slap on the BrexLink Galaxy Note 8 Battery Case to boost your phone’s battery capacity by 125%. Despite adding some bulk to the otherwise sleek looking phablet, this battery case for Galaxy Note 8 comes with a rugged build and raised lip for added screen protection. “Have you tried to turn it off and on again” may seem too simple of a fix for most technical problems, but it’s often the most reliable one. When it comes to mobile devices, most issues pertaining network connectivity, battery life, hardware, and software performance can be resolved with a simple factory reset. Whether you’re trying to clear up your storage or want to defragment the storage hardware by wiping cache partition or boot your device into Safe Mode to find out what apps are messing with your device’s performance, here’s the complete Galaxy Note 8 reset guide. Found your Galaxy Note 8 unresponsive and app crashing way too often? All you need to do is soft reset your phone and get going. Press and hold the Power button and Volume Down key simultaneously until the Galaxy Note 8 turns off. You can then press the Power button to turn on the device and begin using it as usual. Safe Mode on Android devices essentially allows you to boot up the device into its more barebone state. By disabling all of the third-party apps that you have installed on your device, Safe Mode allows you to test out which app is causing issues with your Android device, or whether there is a hardware-related issue with your phone. Press and hold the Power button on your Galaxy Note 8 and turn off the device completely. You will find the “Safe Mode” button show up on the screen, so tap on it to turn on the device in Safe Mode. Often times a particular app or file on your Android device can bring up unwanted issues, and removing them simply doesn’t resolve them. This is when you need to wipe cache partition on your phone to get rid of all the temporary files and logs that could be messing with your phone’s operations. Once your Galaxy Note 8 is turned off, press and hold the Volume Up button, the Bixby button and the Power button simultaneously. 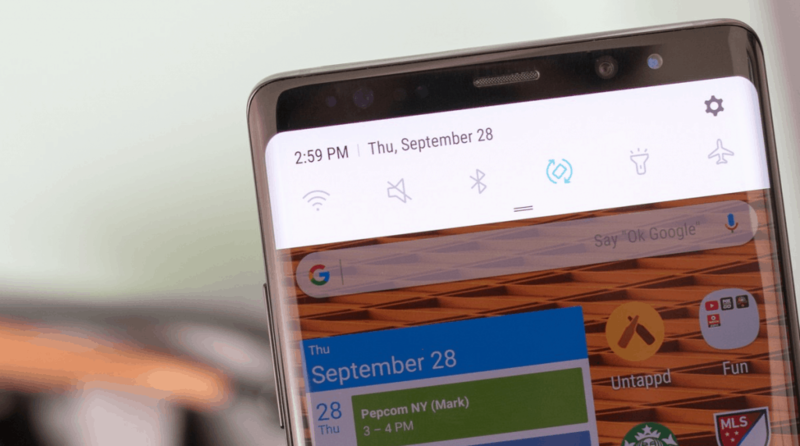 You can then release the Power button once the Samsung logo appears, but continue to hold down the Volume Up and Bixby buttons until the Android system recovery screen appears. On the recovery menu, you can use the Volume Down button to navigate to the “Wipe cache partition” option and then press the Power button to select it. Once the wipe cache partition action is successful, go back to the previous menu and select Reboot system now to exit the recovery menu. Sooner or later, the time will come when your Galaxy Note 8 issues will stump you and all of the above methods simply cannot fix. The sure shot method on how to fix most smartphone problems is using the nuclear option in the form of a hard reset. Hard resets are especially useful when you can’t even make your Galaxy Note 8 turn on to perform a factory reset from the Settings app. Once your smartphone is turned off, press and hold the Volume Up button, the Bixby button, and the Power button simultaneously. Once you see the Samsung logo show up on the display, let go of the Power button while still holding down on the other two keys. The Android system recovery will soon boot up, at which point you can release both the buttons and proceed further. Using the Volume Down button as a navigation key, select “Wipe data/factory reset” and then press the Power button to accept it. Use the Volume Down button to scroll down to the menu that reads “Yes- delete all user data” and then hit the Power button to confirm your action. 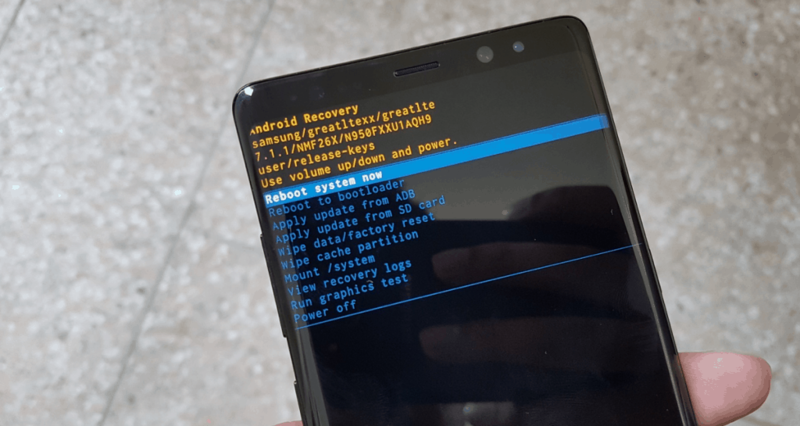 The Galaxy Note 8 will do its thing and once the process is completed, you can select the “Reboot system now” menu option to start setting up your phone. Note that after this hard reset is complete, all the contents stored on your phone will be erased, so make sure that you have everything backed up first. Are you among the new owners who have been troubled by Galaxy Note 8 issues right out of the box? Did you successfully resolve the problems using a method that we’ve forgotten to mention in the guide? Be sure to let us know in the comments section down below or join us on the Updato Forum.